Have you been searching for a luxury car or SUV? Perhaps you have been looking for a Porsche CPO Car or SUV that fits your lifestyle and budget. If you live or work near Farmington Hills, then our Porsche dealership is the right place for you to shop for a certified pre-owned Porsche at an affordable price. For many years, Porsche of Farmington Hills has provided great service to drivers and families in Farmington Hills and the surrounding cities. Porsche of Farmington Hills is a top-rated auto dealership in Farmington Hills, offering a wide variety of Porsche vehicles, including luxury sports cars, convertibles, and SUVs. Porsche of Farmington Hills has a highly qualified sales team and financing staff. Our professionals are committed to assisting our customers with their car purchase and can guide you in choosing the right Porsche vehicle for your needs. At Porsche of Farmington Hills, we have a diverse selection of Certified Pre-Owned Porsche vehicles in the Farmington Hills area. All of the certified pre-owned cars at our dealership are carefully inspected and well-maintained, so you know you’re getting a reliable vehicle. These Porsche models also come with modern technology and features to keep you safely connected while you drive! Our helpful sales team is here on-site to assist and guide you in finding the right car for you. The financing specialists at our dealership are highly knowledgeable and can help you select the right financing options for your situation. There are several factors you need to consider when deciding on a financing plan or package and our professionals will be happy to assist you in exploring financing options and loan terms. Our financing experts are available to address any issues or answer any questions you may have regarding loan processing or car financing. 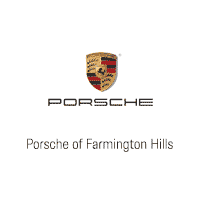 Porsche of Farmington Hills is dedicated to offering excellent customer service. We look forward to helping you find your next Porsche car or Porsche SUV. Contact our team today to discuss your needs or visit our dealership lot to test drive your dream car.